Save On Homeschool Curriculum, Workbooks, Living Books! Shop the Black Friday Tag Sale at Christian Book! Homeschool curriculum, workbooks, living books, and resources for all styles and methods of homeschooling. Discover the homeschool curriculum that will best fit with your child and family to meet your educational goals. Tinker, create & innovate! Hands-on fun that encourages creativity and curiosity in children. Each month, you’ll receive a new package filled with activities designed for the next generation of scientists, artists and makers. Koala crate is perfect for preschoolers, ages 3-4. Kiwi Crate is designed for young innovators, ages 5-8. Doodle Crate art and design for ages 9-16. Tinker Crate science and engineering for ages 9-16. Valid 11/14-11/27. Foreign Language for Kids by Kids® is an outstanding, immersive Spanish program that has been recognized by experts having won more than 15 top education awards in the company’s first two years for its Spanish videos and Spanish board game, including Game and Media of the Year Awards in consecutive years. “Kids like watching other kids,” says Kit, and “my children and their friends were my guide as to what was fun and humorous and what kids would enjoy as we created the videos and games.” The result has been a successful, award-winning language learning program called Foreign Languages for Kids by Kids®. Save 20% Off Curriculum Sets with Code: BlackFriday. Valid 11/24 Only. Nessy programs are designed to help students of all abilities learn to read, write, spell and type, especially those who learn differently. Nessy offers the complete dyslexia aware solution with a suite of multisensory products aimed at making learning to read, write and spell fun. Nessy Reading & Spelling adheres to the Orton-Gillingham approach meaning that each child receives instruction tailored to his or her specific needs. Flexible enough to be adapted to how the individual learns. Nessy can be used to supplement an existing program or as a complete system of instruction. 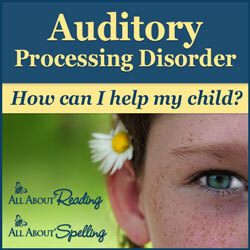 Save 20% at the Homeschool Buyer’s Co-op on Nessy Reading and Spelling. Save 40% Nessy Fingers, Nessy Numbers, Dyslexia Quest and Writing Beach at Nessy.com with Code: GREENNUGGET. Valid 11/22-11/26. 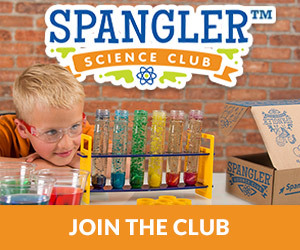 A subscription to the Spangler Science Club is the perfect way to prepare your child for a future STEM-based career with hands-on science experiments and design challenges that teach children how to think like a scientist. Steve Spangler pulled together an award-winning team of science teachers and education experts to create an experience that is the perfect balance of learning and fun. 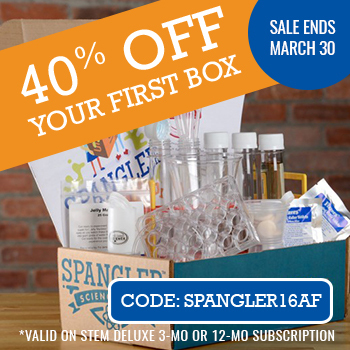 Save 40% On Your First Box with Code: SPANGLER16AF. Valid Thru 12/31. Learn Spanish by Speaking Spanish with native instructors from the comfort of your own home over Google Hangouts. Homeschool Spanish Academy offers Spanish curricula for all ages. Within each curriculum you can take classes in the beginner, intermediate, or advanced level. They can also tailor make a lesson plan to your specific needs! Schedule classes whenever you want, learn high school credits and experience the language. Unlock your entire year of savings! Get $10 Every Purchase in 2018 with Code: HSANEWYEAR. Valid Thru 12/31. Put some hands-on, educational fun under the tree this year! Sonlight and some select sponsors are giving away a unique prize for 12 days, beginning on Black Friday (Nov. 24, 2017) through December 5, 2017. Give the gift of active learning this year and enter to win our selection of educational products that will engage your children, grandchildren, nieces, nephews, neighbors and friends all year long! 12 Days of Christmas Giveaway. Valid 11/24-12/5. Educents always cares about giving gifts that matter and giving the gift of education. It’s a great feeling when the toy or game you gift your child can promote a learning experience! Studies have shown that kids enjoy gifts that incorporate learning. Parents love the ease of shopping on Educents and the convenience of having exceptional educational gifts all in one place and children love receiving gifts from Educents. They have everything from Life of Fred, Magic School Bus, Times Tales, Magformers and so many more perfect gifts. Get your wishlists and shopping carts ready! Save 10% Site wide with Code: Holiday. Valid 11/24. Black Friday through Cyber Monday, Bright Ideas Press is having a 20% off sale! Get the details of the biggest discount they offer each year — 20% off almost everything in the store! for 2018 Spring Classes at The Academy. The Academy at Bright Ideas Press offers middle school and high school courses for Christian homeschooling families to either supplement or replace their current curriculum. Families will be able to choose from a wide variety of course offerings offered either as live, online classes or as self-paced, asynchronous classes. These options will meet the needs of all types of students, from those who enjoy learning under a teacher while interacting with other students, to those who prefer to learn more independently at their own pace. Taught from a Christian worldview, our classes will encourage students to develop excellent independent study skills which will benefit them both in college and in life. Valid 11/24-11/27. 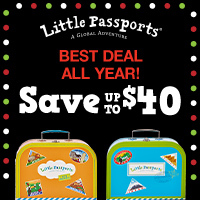 Give them the gift of adventure! As they grow, kids are constantly discovering that they are citizens of the world. Gifts that encourage exploration of places, cultures, recipes and ideas will bring excitement and spark new conversations and knowledge. The award-winning subscription gifts for kids bring those experiences right to your front door! Whether it’s a geography or science focus, connect with them through shared adventures, and help change the way they see the world – one activity-packed monthly package at a time. Save $10 Off Monthly Plan With Code: BF10, Save $20 Off 6 Month Plan With Code: BF20, Save $40 Off 12 Month Plan With Code: BF40. Valid 11/22-11/28. Stick figure through the Bible! Learning the Word of God allows children to understand God’s expectations for their lives and to change their attitudes, actions, and beliefs to align with the Bible. Understanding the Bible encourages students to obey the Word of God by watching how those in the Bible served God. As students move onto maturity, we show them first how to study on their own, and then we help them to practice using different tools that will enable them eventually to become teachers of the Word of God. Save 30% Off all Grapevine Bible Studies. Valid 11/24. 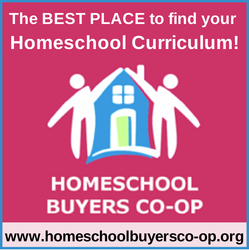 The Homeschool Buyer’s Co-op is the world’s largest buyers club for homeschooling families. It’s a homeschool family-owned and operated business dedicated to providing top-quality curriculum at the lowest possible price. The co-op is able to get great deals on homeschool curriculum and products. If you are looking for a good deal, start at the co-op. Scholastic is home to many favorite books & series! Scholastic books and educational materials are in tens of thousands of schools and tens of millions of homes worldwide, helping to Open a World of Possible for children across the globe. Help instill the love for reading in your child. Save 25% Off Sitewide with Code: FRIDAY25. Valid 11/24-11/26. The Discount School Supply website offers many school products, in addition to a wide variety of content resources for teachers and parents. They also have a 110% price guarantee. If you find a lower price on the same item from another school supplier with equivalent freight/shipping terms and net 30-day accounts, they’ll match that price and refund you an extra 10% of the difference! Save 25% Off All Stock with Code: SALE25 or Free Shipping on Orders +$25. Valid 11/21-11/24. Nest Learning provides a wide range of homeschool curriculum and supplements in addition to the Animated New Testament, the Animated Bible Stories and the Animated Hero Classics series. They carry brands such as Alpha Omega, BJU Press, Learning Wrap-Ups, Rosetta Stone Homeschool, Saxon Math & Phonics, and Wordly Wise 3000. Save 20% Off Sitewide with Code: AFF20. Thriftbooks has more than 7 million used books for sale, from the earliest board books to the all-time classics of literature. Used books are often treasures that are out-of-print or rare. With Wish Lists you can choose to be notified the instant they find a copy, see how often they find rare titles, and see who else is interested. Buy 4 Books, Get 1 Free with Code: CYBER. Valid Thru 11/27. Books-A-Million stores range from 4,000 to 30,000 square feet and provide an expansive selection of books, magazines, bargain books, collectible supplies, toys, technology and gift departments, as well as special category shops within the store. The “Faithpoint” category, for instance, features the best of references and writings for the Christian market. Save $10 off $50+ with code BLACK10, Save $20 off $100+ with code BLACK20, Save Up to 40% Off Boxed Book Sets. Valid 11/24. Amazon has compiled a holiday toy list for 2017. Watch for Cyber Monday deals at Amazon, the Monday after Thanksgiving (11/27). They have a great list of toys, STEM Picks, board games, and more. They’ve made it as easy and fun as possible to find the top gifts and toys for holidays. Save on a variety of learning and educational toys and games at Amazon.com. Helpful list for everyone! Thank you!